ISLAMABAD: The Supreme Court (SC) on Tuesday rejected a plea by National Accountability Bureau (NAB) to allow it to take into custody Captain (r) Safdar, who had been granted bail before arrest by the accountability court. 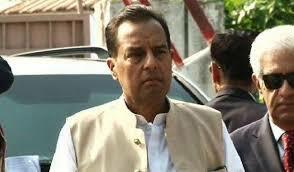 Chief Justice Pakistan (CJP) Justice Mian Saqib Nisar observed that Safdar’s conduct was open to all as he is appearing before the court. He further said that the high court has already given its verdict on NAB’s plea then why should SC intervene. A three-member bench of SC headed by CJP heard the case. During the court proceeding, the CJP inquired from NAB’s counsel that who is Captain (r) Safdar. Upon this, the counsel replied that he is the one against whom Accountability Court (AC) is hearing a case in Avenfield reference. The AC summoned him on April 19 but he failed to appear. The NAB counsel further said that Captain (r) Safdar was abroad while former prime minister Nawaz Sharif appeared before the court on October 12. Hassan Nawaz, Hussain Nawaz and Marriyum Nawaz also failed to appear. The counsel for NAB said that the problem was not about appearance before the court but non-bailable warrants. Upon this, the CJP decreed that the AC has released Captain (r) Safdar after surety bonds and he was not fleeing the court hearings. After completing the arguments, the apex court rejected the NAB’s plea.